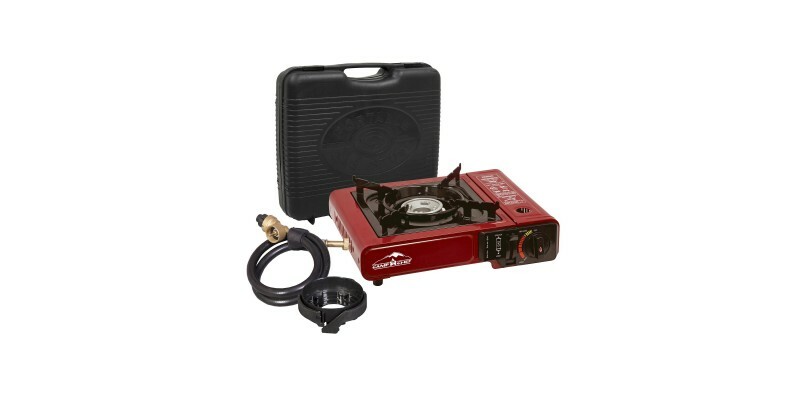 Become King/Queen of the campsite with the One-Burner Multi-Fuel Camp Stove from Camp Chef. This lightweight stove travels to and from your base camp easily and safely with the included hard carrying case. Stress less on what gas you'll need and worry more about what masterpiece to cook upon your arrival because this stove runs on butane and propane. Manage the powerful 8,000 BTU burner with the adjustable heat control and convenient matchless ignition. Pick up this killer one-burner camp stove for all of your camping and off the beaten path adventures. Cooking Dimensions: 14 in. x 12 in. Stove Cooking Area: 168 sq. in.